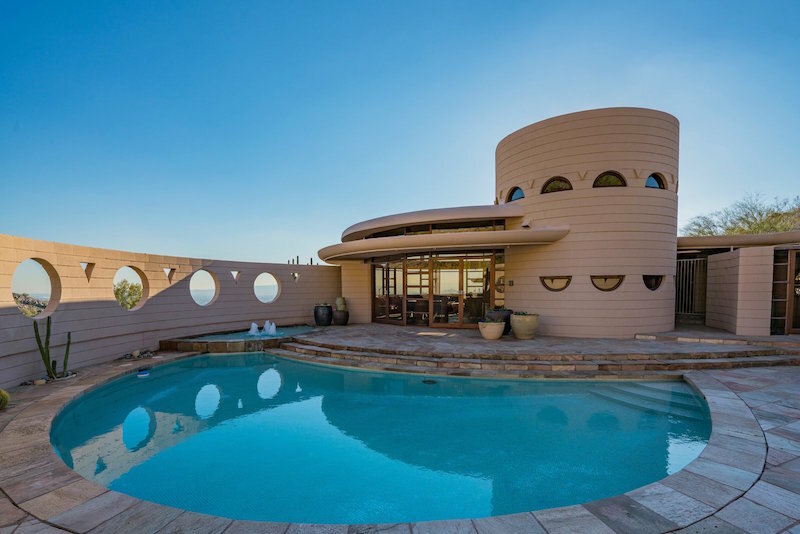 Composed of overlapping circles that are carved into the desert landscape, reflecting the curvatures of nearby mountains, the house deftly reflects Wright’s philosophy of organic architecture. 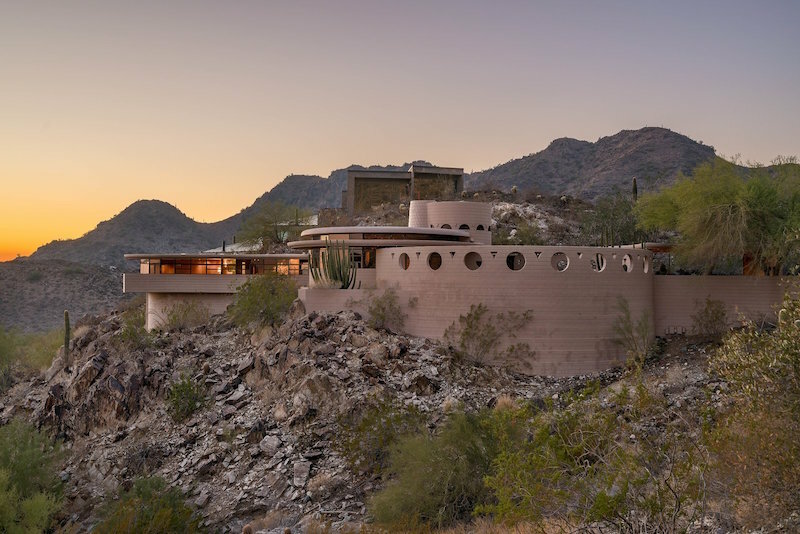 Wright said, “In organic architecture then, it is quite impossible to consider the building as one thing, its furnishings another, and its setting and environment still another. The spirit in which these buildings are conceived sees all these together at work as one thing.” The property is currently listed with The Agency for $3,250,000. Commissioned by Norman and Aimee Lykes, Wright chose the plot of land and started the curvilinear design before his death in 1959. His apprentice, John Rattenbury, then completed the design and oversaw construction in 1967. The 3,095-square-foot house has three bedrooms and three bathrooms. It’s only had two owners and one update to the interiors, also led by Rattenbury, in 1994. During the latter renovation, the five original bedrooms were converted to three, the principal bedroom was enlarged, and a workshop was adapted into a media room. Per Wright’s hallmark style, the curved interior walls are lined with built-in storage, furniture, and paneling, all made of Philippine mahogany. A pool, also specified by Wright and added later, is tiled in mother of pearl. Views into the spectacular Palm Canyon are available from most rooms, including the great room and each bedroom.